Eat small, frequent meals throughout the day. Doing this will ensure your body is getting enough calories, protein, and nutrients to tolerate treatment. Five to six smaller meals per day, about every three hours, may also help to reduce treatment-related side effects such as nausea. Choose protein-rich foods. Protein helps your body repair cells and tissue and also helps your immune system recover from illness. Include a source of lean protein at all meals and snacks. Consume whole grain foods: Whole grain foods provide a good source of carbohydrates and fiber, which help keep your energy levels up. These may include oatmeal, whole wheat bread, brown rice or whole grain pasta. Include a variety of fruits and vegetables every day: Fruits and vegetables offer your body antioxidants, which help fight against cancer. Aim to eat a minimum of five servings of whole fruits and vegetables daily. Keep in mind that fruits and veggies should be cooked if you are undergoing treatment and have a weakened immune system. Choose sources of healthy fat: Avoid fried, greasy and fatty foods and choose baked, broiled or grilled foods instead. Healthy fats include olive oil, avocados, nuts, and seeds. Limit sweets and added sugar: Foods high in added sugars provide little nutritional benefit and often take the place of other foods that are better for you. Stay hydrated: Drinking enough fluids during cancer treatment is important for preventing dehydration. Aim to drink 64 ounces of fluid daily and avoid drinking large amounts of caffeinated beverages, as too much caffeine can lead to dehydration. Pay special attention to your mouth: Chemotherapy and radiation to areas near the head or chest can irritate the lining of the mouth, throat, and esophagus. This irritation can make eating and swallowing difficult. Good mouth care is very important if you have mouth soreness. Remember to brush your teeth with gentle toothpaste after eating and floss daily. Perhaps the most important tip of all, always remember that your cancer journey is unique to you and your treatment (or your patient if you are a referring physician). Talk to your healthcare team before taking any vitamins or supplements. Some medications and cancer treatments may interact with certain vitamins or supplements. Always choose food first as the main source for nutrients. You may experience side effects that affect your ability to follow these suggestions. If you are struggling with any side effects, such as loss of appetite, nausea, diarrhea, vomiting or any other nutrition concerns, talk to your doctor. 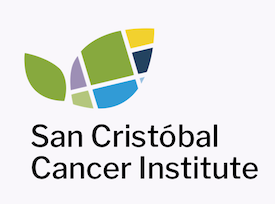 At San Cristóbal Cancer Institute, we are committed to your health and to providing the best possible experience on your road to recovery from cancer.